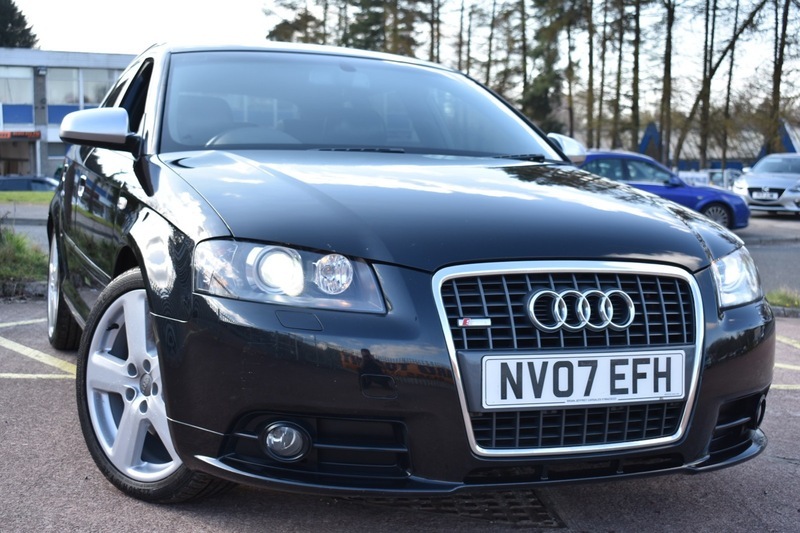 IF YOUR LOOKING FOR A HIGHLY SPEC'D AUDI A3 THEN LOOK NO FURTHER WE HAVE THE ONE FOR YOU! IT IS THE 4 WHEEL DRIVE QUATTRO 170BHP S LINE MODEL WITH OVER 5K OF FACTORY FITTED OPTIONS WHICH INCLUDE COLOUR SAT NAV, XENON HEADLIGHTS, BOSE SOUND SYSTEM, FULL LEATHER INTERIOR WITH HEAD FRONT SEATS, REAR PRIVACY GLASS, CHROME MIRRORS! IT ALSO FEATURES REAR ENTERTAINMENT PACKAGE WHICH CONSISTS OF SCREENS IN HEADRESTS WITH DVD PLAYER IN THE GLOVEBOX! THIS CAR LOOKS BRILLIANT AND DRIVES GREAT! POWERED BY THE NOTORIOUSLY RELIABLE 2.0 TDI ENGINE! ****WE HAVE SIGNED UP TO AAs DEALER PROMISE WHICH MEANS YOU ARE IN SAFE HANDS DEALING WITH US AS AN AA PARTNER. ALL CARS ARE PROVIDED WITH AN AA HISTORY CHECK, 12 MONTHS BREAKDOWN COVER OR MEMBER UPGRADE, A MINIMUM OF 6 MONTHS MOT ON ALL CARS AND OTHER EXCLUSIVE AA BENEFITS****FINANCE AVAILABLE *** POOR CREDIT NO PROBLEM *** PLEASE ASK! *** PART EXCHANGE WELCOME WITH OR WITHOUT MOT!!! CREDIT AND DEBIT CARDS ACCEPTED!! LONGER WARRANTY OPTIONS AVAILABLE!! PRICE CHECKED WITHIN 60 MILES TO ENSURE BEST VALUE! OVER 30 CARS IN STOCK! ***OVER 95% OF OUR CUSTOMER RATE US 5 STARS! ***!